I've never realized a storyboard is that important in film until I finally started to film a short movie I wrote myself. Cause it is a great tool to remember what shot you want and also to show crew how it need to be done. It is different then on the spot trying out different angles to find what is the best it also improve the speed in filming with faster setup to get the right shots. 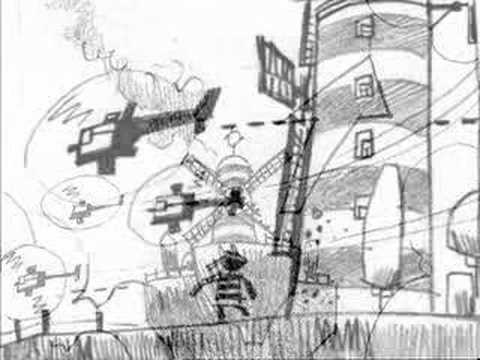 However I found a great account by Noodles of the Gorillaz on Youtube where you can find animatics of the storyboard of their music clips and surely those are awesome drawings. However embedding the video is shut off but you can see the videos Noodles Youtube page here. But for sure can see how much of the storyboard was still used in the original music clip and also see how they drew the storyboard.